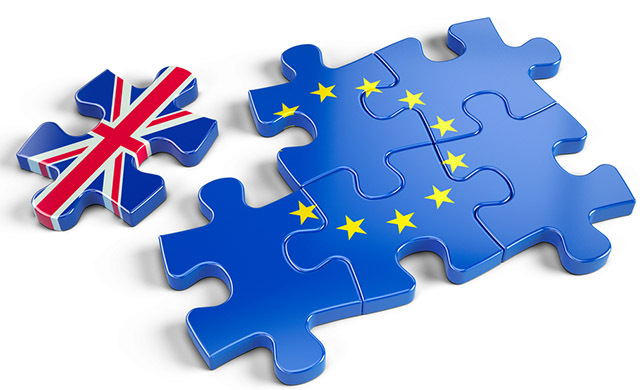 UPDATE 11th April 2019: The European Union has agreed to extend Brexit to 31st October 2019. The irony in this is that this date also happens to be Halloween and depending on which side you’re on, it could very well be a Trick, or a Treat 😉 . UPDATE 5th April 2019: Theresa May has asked the EU for an extension to Brexit to the end of June (June 30th 2019). The UK was poised to leave the EU on the 12th of April 2019. With the current hung Parliament, the Brexit chaos continues as the Members of Parliament struggle to agree on a deal. The EU councillor, Donald Tusk, is against short extensions and would rather give the UK a one year extension. So now, Theresa May will go back and try to negotiate with the opposition Labour Party’s Jeremy Corbyn to try to agree on a possible way forward. UPDATE 1st April 2019: Theresa May tabled four different (Plan B) Brexit alternatives which were all rejected by Members of Parliament via vote. If Theresa May is unable to get her deal through by 12th April 2019, she will have to either ask the EU for an extension to when the UK leaves the EU & either call for a General Election or a Referendum during this time. Either way, this is quite a pickle for the UK to find themselves in. May is pushing on with her deal and has several meetings with her base to try to get them to back her. As always, we’ll keep you updated with all the latest developments. UPDATE 29th March 2019: Today was the day the UK had set out 2 years ago to leave the EU but what happened? Nothing, the UK is still in the EU as Theresa May failed to get her own Tory party to vote with her for her negotiated Brexit deal even after throwing in the extra incentive of her stepping down as Prime Minister. Her deal was rejected at 344 to 286 votes. Because Theresa May’s deal has been rejected, it means the UK stands to leave the EU with no Brexit deal at all on the 12th of April 2019, which would be catastrophic. Theresa May will go back to the EU Council on April 10th to ask for an extension to when the UK can leave the EU. For now, it appears that Theresa May still believes her deal is the best deal and we will see her still pushing it along and trying to get a majority to deliver her Brexit. She has scheduled a vote of Plan B Brexit alternatives for Monday 1st April 2019. UPDATE 16th January 2019: What a week its been and its only Wednesday. *Sigh* just so much happening with Brexit we really don’t know whether the UK is coming or going anymore. To summarise the goings on, Theresa Mays deal with Brussels for the UK to leave the European Union was rejected yesterday triggering a vote of no confidence in her by Jeremy Corben’s Labour Party. This created massive uncertainty about what happens next in the UK. Would Theresa May’s time as Prime Minister finally be up? Would the UK leave the EU without a Brexit deal? Will there be new General Elections? Will there be a new Referendum so that the British people can decide once again whether they want to Leave or Remain in the UK? We got an answer to atleast one of these questions in that Theresa May narrowly survived a no confidence vote against her which would have stripped her of the Prime Minister role. She won by 325 against 306 votes. This Brexit situation has become an ever evolving organism and things seem to change everyday. For now though, with Theresa May still at the helm, we can tell you that she stands by the 2016 vote by the people of Great Britain to leave the EU and her mandate is to deliver that decision. After reading all that and having countless discussions over Brexit, I’m sure you’re bored over Brexit and just want to do some thing else. 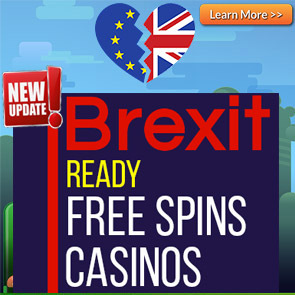 You can take this opportunity to play at our curated Brexit Proof UK Casinos. *Whether you’re Leave or Remain, our Brexit Ready UK Casinos will appeal to you regardless of your side & will see you continue playing seamlessly whatever the outcome. UK Regulated Casinos, Safe, Secure and Audited by the UK Gambling Commission. At PlayOjO Casino,We have an EXCLUSIVE just for you. You get 1 Free Spin credited for every £1 deposit. Get Up to 50 Free Spins on first deposit + an EXCLUSIVE *EXTRA 30 Free Spins on us! The Free Spins are on Book of Dead and are wager free. Min. deposit £10. So just 50 bucks can get you 80 Book of Dead Free Spins with no wagering requirements at PlayOjO. *The EXTRA 30 Free Spins will be available in the KICKER section of your casino account after you’ve made your deposit. The best part of this offer is all winnings are paid in cash, there are no wagering requirements and no max win cap! Comeon Casino is offering 20 free spins no deposit required on the Starburst Slot. All you have to do is open an account and make a bee-line for the Starburst Slot, open it and voila, you will have 20 free spins available. 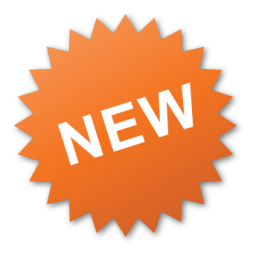 Also remember that new players also get a 100% Bonus up to 25 to play in the casino as well as a 10 free bet in the sports book. New players at Winstar Casino get a 100 Bonus Spins that can be played on Starburst, Gonzo’s Quest, Berryburst, Finn & the Swirly Spin, or Pyramid Quest for Immortality and a 100% Bonus up to 100 when you make a minimum deposit. 18+. New customers only. 1 Free Spins for every £1 of first deposit up to 50, available on selected games only. Not available using Neteller or Skrill. 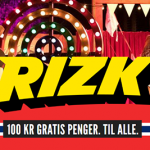 3-day expiry on Free Spins. £10 min deposit +2.5% Fee (min 50p). Cash balance withdrawable anytime + £2.50 fee. See the Full T&C’s here. At Casino Cruise, open a new account and get 55 free spins no deposit required. The free spins will be credited to your account the following day by 12pm GMT. You also get a 100% Bonus up to £200 and 200 Free Spins on your first deposit at Casino Cruise. The minimum deposit is only £10. 18+. New Players Only.40x wagering on winnings. Free Spins valid for 72 hours. Max withdrawal £100. Full Promotional T&Cs apply and can be viewed here. BGO has one of the best free spins without deposit offers simply because these are real cash free spins. This means whatever you win from the free spins is Cold Hard Cash!! Head out to one of the most fun casinos, Casumo, and get 20 Free Spins No Deposit Required just for opening an account! On your first deposit get a 100% Bonus up to £300. So if you deposit £300, you start playing with a massive £600 bankroll! All new players residing in the United Kingdom (UK) can get a £100 Welcome Bonus + 100 EXTRA Spins on their first deposit. Make a deposit of £10 to claim this offer. 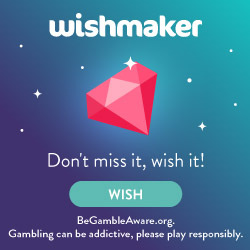 Players will receive 20 Wish Spins after their first deposit of £10. Subsequently, 20 EXTRA Spins will be credited to your account over the next 4 consecutive days. Play your Extra Spins on the following game: Book of Dead. 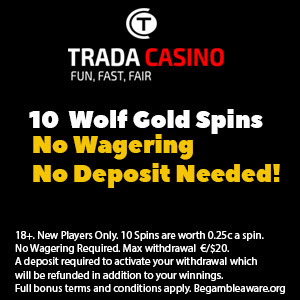 New Players at Trada Casino get a 10 Free Spins No Deposit Required for registering an account. The free spins come with no wagering requirements and can be played on the Wolf Gold slot. On your first deposit at Trade also get 100 Free Spins on the Great Rhino slot. The minimum deposit is only £10. At Ahti Games run by the reputable EGO Group is a sister casino to the hugely popular Alpaca fronted PlayOjO Casino. UK Players can enjoy a 100% Bonus and up to 50 Super Spins! So every £1 deposit, you will get 1 Super Spin. The Maximum Super Spins you can claim are 50. So make the most of this offer, deposit £100 and start playing with £200 and 50 Super Spins! 18+. New Players only.Min. deposit: £10. Game: Vikings Runecraft, Spin Value: £0.50, Max Spins: 50. WR 60x spin winnings amount (only Slots count) within 30 days. Max bet is 10% (min £0.10) of the spin winnings amount or £5 (lowest amount applies). Spins must be used before deposited funds. Bonus Policy applies. UK Players at Slots Magic Casino can enjoy a 100% Bonus and up to £50 and 50 Book of Dead Extra Spins. Use the Slots Magic Bonus Code MAGIC50 when making your deposit. First Deposit Only. Min. deposit: £10, max. Bonus £50. 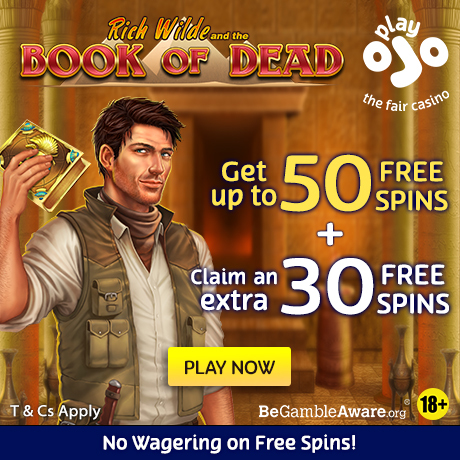 Game: Rich Wilde and the Book of Dead, Spin Value: £0.10, Max Extra Spins:50. WR of 30x Deposit + Bonus amount and 60x Extra Spin winnings amount (only Slots count) within 30 days. Max bet is 10% (min £0.10) of the extra spin winnings and bonus amount or £5 (lowest amount applies). Extra Spins must be used before deposited funds. Bonus Policy Applies. UK Players at Leo Vegas Casino can enjoy a 100% Bonus and up to £400 and 100 Book of Dead Extra Spins (18+. t&c’s apply. BeGambleAware.org). UK Players at Unibet Casino can enjoy a 10 Spins No DepositRequired on select NetEnt Slots. Furthermore, you also get a 200% Bonus up to £200 and up to 190 Free Spins (18+. t&c’s apply. BeGambleAware.org). The Free Spins are credited according to your deposit. The minimum deposit to claim the bonus and free spins is only £20. UK Players at Dunder Casino can enjoy a 20 Spins No DepositRequired on the Starburst Slot. Furthermore, you also get a 200% Bonus up to £25 and 180 Free Spins (18+. t&c’s apply. BeGambleAware.org). All British Casino – 100% Bonus + 10% REAL MONEY Cash Back ALWAYS! Get our All British Casino EXCLUSIVE offer of a 100% Bonus up to £100 (18+, T&C’s apply). The wagering requirements on this bonus are only 35x. You also always get 10% Cash Back. All British Casino exemplifies the true character & standard of what UK NetEnt Casinos should be! 18+. New Players only. Minimum deposit is £20. No max cash out. Wagering is 35x bonus. Cash Back is real money. Max bet win playing bonus is £5. Full t&c’s apply. Deposit and bet £10 in order to get a £10 free bet at ComeOn Sports. In order to qualify for this offer you need to make minimum odds of 4/5(1.8). Posted in Casumo Casino and tagged no deposit bonus 2019. ← Leo Vegas Casino No Deposit Bonus now on the Book of Dead. Do you love the Book of Dead? 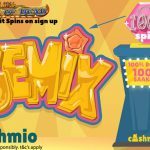 How do 22 Free Spins No Deposit Required on it sound just for opening an account.